All hail the power of Jesus name! What does it mean to hail something? Every now and then you might hear about someone who hails for a cab or a room porter, calling for their attention. Possibly someone might be hailed as the being the newest bestselling author, giving them acclaim. But in reality, this is a term not used so much anymore except in reference to ice pellets falling from the sky which we usually do not appreciate. To hail someone or something means to give grand acclamation about them. To call attention to someone or something. This song we just sang calls for angels to fall prostrate before Jesus’ name, for all who are ransomed from sin to crown Jesus, and for every person alive to ascribe all majesty to Jesus. All hail, all attention, all acclamation, all praise is to be set upon the power of Jesus’ name. 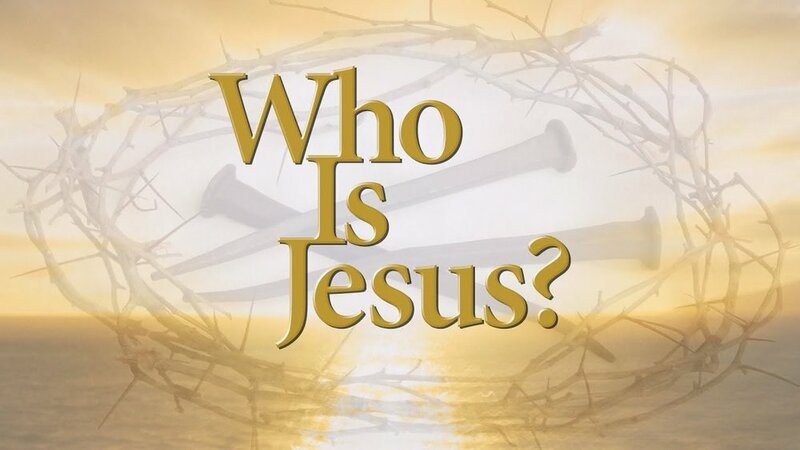 What is so special about Jesus’ name? Did you know that even the Bible tells us that the name of Jesus is exalted above every name? Let’s look at Philippians 2 and see if we can discover why the name of Jesus is so special. I want to begin in verse three where the Apostle Paul tells us that the focus of our lives as Christians should be on others, not on our own selves. Then he tells us that we need to look to Jesus as our example. Look what he tells us. The reason I chose to begin with verses 3 and 4 is that they describe the exact opposite of Jesus’ character and what His name stands for. If we are following Christ and desire to emulate the character of our Savior in our lives, we must eliminate our pursuit of personal glory. Just because I chose to start here, please don’t think that Jesus had to remove selfish ambitions from His life because He never had them. Jesus has always put us before Himself. Jesus is the extreme example of humility by not just looking out for Himself, but for our desperate need of eternal salvation. The Apostle Paul is showing us how deep our need is to have this life changing power of the name of Jesus for our own lives. The selfish ambition, the empty or vain conceit for personal glory is something we need to eliminate if we are to emulate the character of Jesus. We should focus on significance of others and remove from our thinking that we are more important others. We certainly need to take care of our own interests, but we should also be aware of the interests of others and try to meet them. If this sounds extreme, it probably means that we need to work on this in our lives. This kind of radical love for others is not seen as much as it should be in most of our Christian lives. Sometimes we see this “others first” mentality come out during times of disaster, but in reality, this should characterize our lives. I don’t know about you, I need to keep a check on this personal glory seeking in my own heart. Thinking that I am a better person than someone who makes poor choices in their lives, or that I deserve the blessing of God because I do good things. I need to constantly keep a check on personal glory. We have been talking quite a bit about living as Kingdom citizens in this world in our adult class on Sunday mornings. The world around us should see a slice of the Kingdom, a colony of Heaven right here on earth in their midst when they see our lives. Humility and serving others through love and concern for their wellbeing is how we ought to live. Not that we do this for personal glory, but to display the character of Jesus. What does that look like? How can this be a part of my life? It is a mindset according to verse 5. Have this mind among yourselves, which is yours in Christ Jesus. Jesus Christ is an exhibition or a grand display of the mindset we should have. But in order to change our minds to the mind of Christ we must first eliminate the pursuit of personal glory. Then, the mindset of Jesus may be sought as Christians begin to emulate the character of Jesus Christ which is humble servitude. We need to begin thinking like Jesus thinks. How does Jesus think? Well, we can tell how He thinks by what He has done. First, Jesus was in the “form of God” according to verse 6. “Though he was in the form of God.” Last week’s message on the “Great I Am” made it clear that Jesus is God. I am not going to go back to that this week, so if you were not able to hear it, I encourage you to go the website and check out last week’s message. But it is clear from Scripture that Jesus is God. Jesus has always been God and will always be God. The word “form” in our passage this morning is μορφή (morphe) which indicates that this is the essence or continuous state of His condition. Being God is the unchangeable essence of who Jesus is. Even when He took on human form, Jesus was still God. In verse 7 it tells us that Jesus took on another form, the form of a servant. This is probably one of the biggest struggles many unbelievers grapple with. But clearly, by everything Jesus did and said, verifies the fact that He is God, yet He possessed a human form. The fact that Jesus is God, makes everything that follows in these verses become powerful statements to the humility and servitude of our Savior. But first and foremost, He is God. Second, Jesus did not hold onto the rights and privileges of being God according to verse 6. “Did not count equality with God a thing to be grasped.” In other words, Jesus did not clutch to or hold on to the honors of deity. This is not saying that Jesus was not God for a time while on earth, but that He did not clutch that status of being God so tightly that He couldn’t stoop to become a human being, in the form of a servant. You know as well as I do, that people who are in high leadership positions like presidents of countries, CEO’s of companies, or even pastors of churches will not stoop to do something that is less than their position of imagined power. They have no idea what it is like to clean a toilet or cleanup someone’s puke because they have other workers or servants to do that. You see, Jesus did not hold so tightly on His rights of being God, that He was unwilling to take on a human form of servanthood. God becomes human. Third, verse 7 tells us that Jesus “emptied himself, by taking the form of a servant, being born in the likeness of men.” Again, this is not saying that Jesus was no longer God or that He exchanged His deity for humanity. He never became less than God or gave up any of His Divine attributes as God. NO! So, what does this mean that Jesus emptied Himself? Jesus gave up certain rights and privileges of deity. Jesus gave up the personal enjoyment of heavenly glory. He was no longer able to be at the right hand of God the Father and receive the glory the Godhead deserves. Rather, He endured the hatred, threats, and the continual questions of who He is from people on earth. Jesus set aside Divine privileges and submitted himself to the Father’s will. Jesus gave up eternal riches to be a poor carpenter’s son who had little of nothing. At one point, Jesus gave up Divine fellowship with the Father as He bore the sin of humanity on the cross. Jesus gave up the rights and privileges of deity. He emptied Himself by becoming in the likeness of a human being. He took the form of a human servant. But even more than that, He experienced being born as a human baby in an animal enclosure and laid in an animal feeding trough. This is God becoming human. He emptied Himself of the rights and privileges of being God and became a human being. Fully God. Fully Human. But Jesus was more than just God in a human body. Jesus took on the attributes of being human, yet without sin. Jesus became a Servant. He is fully God, yet fully man. Something I mentioned a few weeks ago as the hypostatic union. Jesus is Son of God and Son of Man. God in flesh. Certainly, we all should be amazed that Jesus would do this, but this is not the full extent of Jesus’ emptying of Himself is it? It doesn’t end with Jesus just becoming a sinless human being. Look at verse 8 with me again. God, who cannot die, became human, so He could die . . . not just die a human death, but the most indescribably inhumane kind of death, a cross death. It wasn’t enough that Jesus humbled Himself to become a sinless human form, but then He died at the persecuting hands of unbelievers on a cross designed for criminals. Though He was not a criminal, He died a criminal’s death. Though He was not a sinner, He experienced separation from the Father, paying the debt of sin. I don’t know about you, but when I begin to understand this grand exhibition of servitude, my mindset about how I live with others begins to change. We need to let this mindset of Jesus be our mindset. Jesus is and always will be God, but He doesn’t clutch to the rights and privileges of His deity. Rather, He humbly became a human, a servant to mankind. Though sinless, He dies a sinner’s death. This is completely the opposite of seeking personal glory that was talked about in verses 3 and 4. This is the mindset the Christian is to have. Others focused. Jesus was not looking to His own interests, rather, He was focused on the need of salvation for you and me as something that is much more important than His own glory. He was looking to the important issue we face as sinners, not His own interests or His own glory. For while we were still weak, at the right time Christ died for the ungodly. For one will scarcely die for a righteous person-- though perhaps for a good person one would dare even to die-- but God shows his love for us in that while we were still sinners, Christ died for us. Though many of us grasp what Jesus has done, I am not sure any of us can completely grasp full the implications of the self-emptying. But it is clear in verses 9-11, that because of what Jesus has done, His name is to be exalted. The word “therefore,” tells us that the exaltation of the name of Jesus is inseparably linked to His display of humiliation, servitude, and death as a human. By His humbling to the point of death on a cross, Jesus put on full display His love for you and me even as sinners. I believe the exalted name has something to do more with His humanity than His deity. But some want to know what is this name that is above all names? Jesus has a lot of names. He is called Immanuel, Wonderful Counselor, Prince of Peace, Almighty God, Ancient of Days, the Door, the Chief Shepherd, the Word, the Light, the Lamb, the Bread of Life, the Rock, the Bridegroom, Alpha and Omega, and many more. What is the name that is above all names? Well, notice what happens with this name bestowed upon Jesus in verse 10 and 11. At this name every knee should bow and confess that Jesus Christ is . . . what? Every person should confess that Jesus is Lord. This is κύριος (kurios) in the Greek which means the one who is master, owner, sovereign, or the one who has control. Let me point out something that is interesting. Remember last week we found that Jehovah was the personal and considered very sacred name used for God. It comes from the Hebrew word הָיָה (hayah) and means to exist or be in existence. הָיָה (hayah) became the very sacred name we know of as Yahweh, or Jehovah. Whenever you see LORD in your Bible in small capital letters, it is being translated from the Hebrew word Jehovah. When the Greek Septuagint translated the Old Testament Hebrew Scriptures into Greek, what Greek word do you think they used for translating Jehovah? It is κύριος or in English, Lord. Could it be that the name that is above all names is Lord, or from the Hebrew, Jehovah? Well wait a minute, we spent our whole message last week showing that Jesus is the great “I Am,” that He is fully God. That Jesus is co-eternal, co-equal with God the Father and the Holy Spirit for eternity. So, after Jesus’ divine exhibition of human servitude and His horrific death, was Jesus exalted to a higher place, higher position, or higher power than before His humanity? No, absolutely not. He cannot be higher than His being in the form of God before His humanity. I believe that this exaltation was not to a new or different place within the Godhead that He didn’t already have. This exaltation is concerns something no other part of the triunity of the Godhead experienced. He is not just the Son of God, He is also the Son of Man. Jesus, as the second person of the Godhead experienced humanity and now identifies with humanity. The essence of His position as Lord did not change when He ascended into Heaven, but the glory due His name has changed because He is now Son of God, Son of Man. Jesus is exalted as Lord and Ruler, yes, but not just because He is God, He has always been God, but because He is now both God and Man. When we acknowledge a faith in Jesus Christ as our Savior, we should be bowing before Him as our Lord, or Ruler, our Sovereign. We need to eliminate our practice of self-glory and take on the mindset of Jesus considering others more important than ourselves. As believers, our lives should reflect that Jesus is Lord of our lives. One day, Peter and John were preaching to the council of the Sanhedrin about Jesus. Peter came to the point of making it clear the name of Jesus is vital in understanding our salvation. Jesus has the position of Lord, but now it possesses a different quality, He has become a human being and died a human death for the sins of all humanity. It is not just a name given to Him concerning His deity, it is a name given to Him because He was among men. “There is no other name under heaven given among men.” The name of our Lord, Jesus, is the only way of salvation. No other person, or god that is worshipped on this earth has the saving power of Jesus’ name. Is that the Jesus you know?